Star Wars Celebration Anaheim: Live Podcast, MakingStarWars Buttons and Fan Site Riches! Star Wars Celebration Anaheim is nine days away! It’s unbelievable. We’ve been waiting for this for over two years and the moment is almost upon us! As we all know, J.J. Abrams and Kathleen Kennedy will be kicking off the nerdgasm on Thursday morning. Rumors of a new teaser poster AND trailer are swirling. Star Wars superstars like Mark Hamill, Carrie Fisher and Ian McDiarmid are scheduled to appear. However, possibly the most anticipated part of Celebration is… FAN SITE BUTTONS! 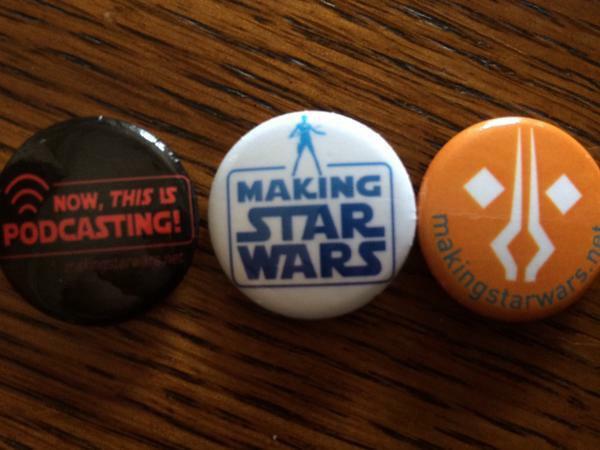 The MakingStarWars team will be distributing buttons throughout the con. There are three variants–a Now This is Podcasting! 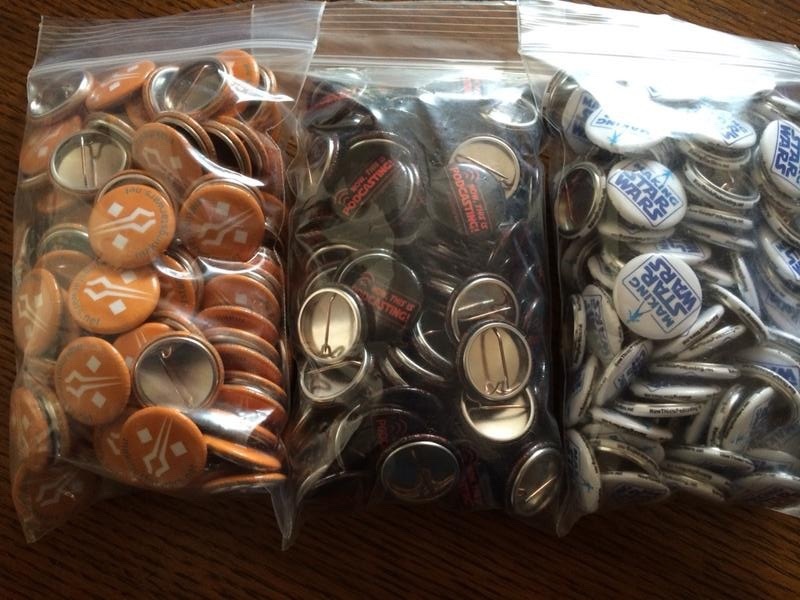 version, a MakingStarWars version, and an exclusive Fulcrum-inspired MSW button. Throughout Celebration, if you see one of the MSW team, please be sure to say hi so that Amanda doesn’t feel alone and to get one of our buttons. The exclusive Fulcrum button will be given away at our special live Celebration podcast at Phat Collectibles in Anaheim. The Now This is Podcasting! team will be podcasting live at 6:30 PM on Thursday, 4/16. So right after you hear the Emperor, Ian McDiarmid, head on over to Phat Collectibles and get your buttons! Episode 179 MakingStarWars.net’s Now, This Is Podcasting!